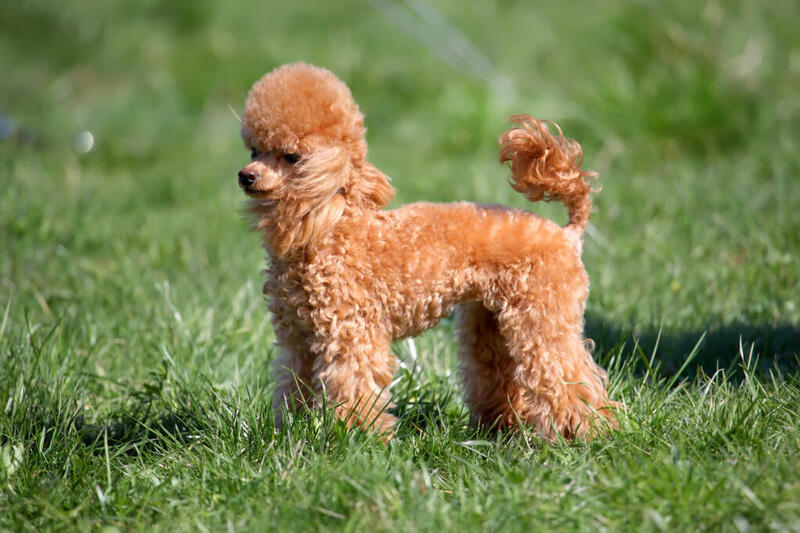 Many believe that the Poodle originated in France, but it probably started out as a curly coated breed from Asia and made it's way with herders into Europe. 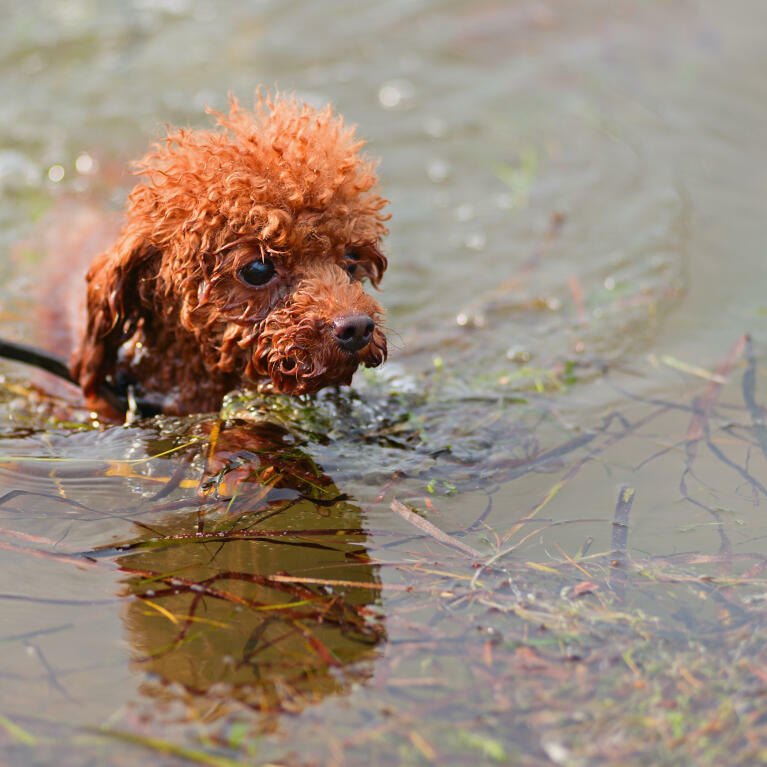 The poodle is a master herder and hunter and loves to swim. 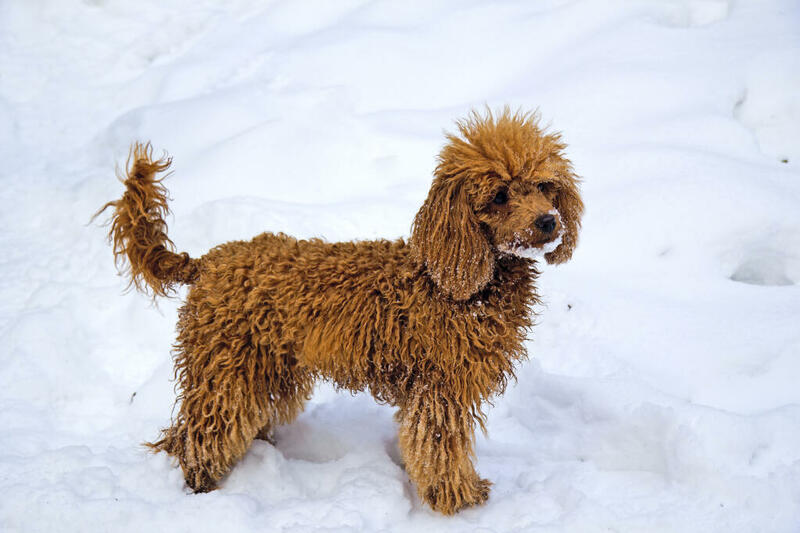 The curly coat insulates it from cold water and they are expert duck hunters. It was in Germany that the breed developed in to what we recognise today. 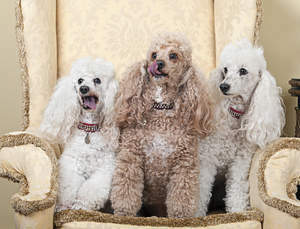 They were used as military dogs, guide dogs and in circuses. 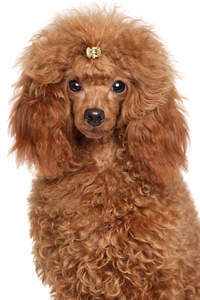 The French loved Poodles, much favoured by 'fashionable ladies' and it became the National breed of France. Poodles are incredibly intelligent and rarely need telling more than a few times before they have learnt something. Their minds work quickly and they are easily trained. 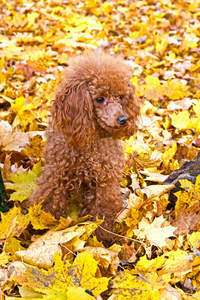 They are highly social, like working and will happily do what you ask of them for praise. 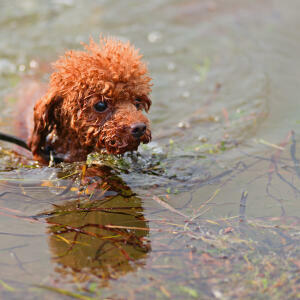 They do need consistent training to get the best out of them, but once learnt, they will seek more training. They are lively, playful, eager to please and loyal. They make good pets and are good with respectful children, but will not tolerate tail pulling or screaming and could snap. They can be a bit reserved with strangers at first, but soon become friendly. 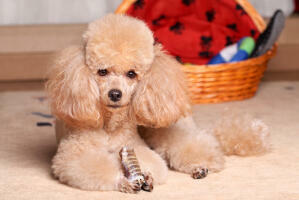 They get on well with other dogs and pets if socialised from an early age. Poodles are free thinkers and need training. They think they are 'people' and will want to be treated like one, so be firm from the outset, or the dog will run the household. They need a fair amount of exercise, be it a long walk/swim, plus lots of play in the garden.They will happily bring a ball back to you and do well in agility classes/competitions; anything to keep their minds and bodies active. 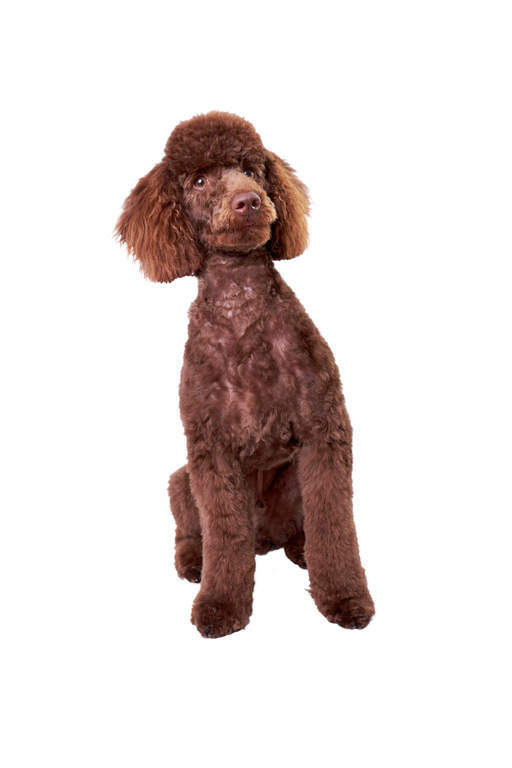 With regard to grooming, Poodle hair does not fall out, it sticks to surrounding fur, so needs regular brushing to prevent matting. 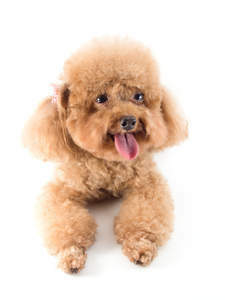 This is good news for allergy sufferers as fur is not left all over the house. 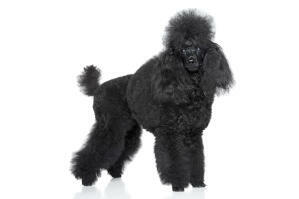 Grooming/clipping needs to be done regularly by professionals if owners would like the classic pompom cut. 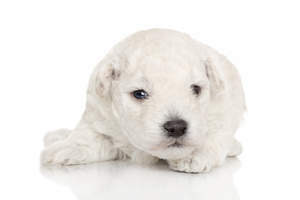 Blindness and epilepsy tends to be more common with this breed. Miniature Poodles have an obedient and playful temperament. 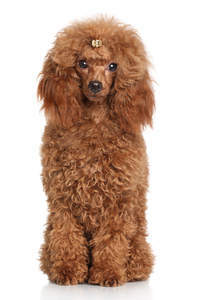 Intelligent dogs that love to please Mini Poodles make great companion dogs. 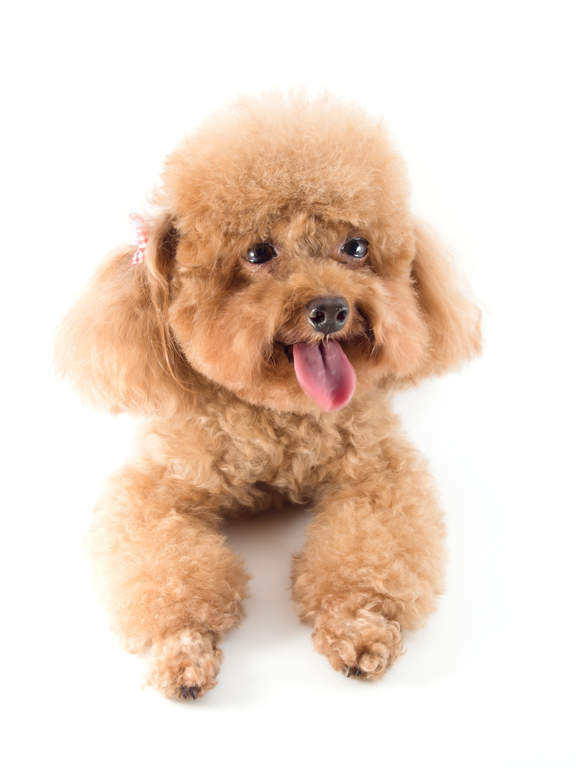 They will often become very attached to one person so it is important to socialise them early in order to get a well rounded dog. 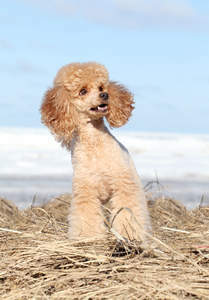 Happy to meet other dogs the Mini Poodle is very friendly but they may bark a lot! 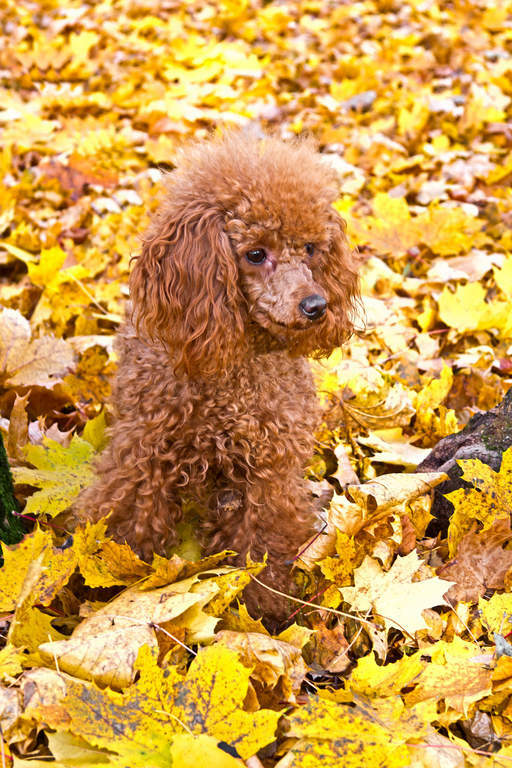 Health problems that can affect Miniature Poodles include luxating patellar (dislocation of the knee cap), canine hip dysplasia (CHD). elbow dysplasia, Legg–Calvé–Perthes disease (degeneration of the femoral head which can cause lameness and joint swelling), intervertebral disc disease (pressure on the spinal cord that can cause paralysis), progressive retinal atrophy (PRA: degeneration of retina which can lead to blindness), epilepsy and blindness. Für diese Rasse gibt es noch keine Bewertungen. Klicken Sie hier, um eine zu verfassen. Erhalten Sie den Omlet Newsletter! Registrieren Sie sich jetzt und Sie erhalten alle Infos zu unseren Neuigkeiten, Angeboten und vieles mehr!